Prince Windisch-Graetz in an 1852 lithograph. Alfred Candidus Ferdinand, Prince of Windisch-Graetz (German: Alfred Candidus Ferdinand Fürst zu Windisch-Graetz) (May 11, 1787, Brussels — March 21, 1862, Vienna) was an Austrian army officer who distinguished himself throughout the wars fought by the Habsburg Monarchy in the 19th century. Windisch-Graetz came from a Styrian noble family and started service in the Habsburg imperial army in 1804. He participated in all the wars against Napoleon and fought with distinction at Leipzig and in the campaign of 1814. In 1833, he was named Feldmarschall. In the following years of peace he held successive commands in Prague, being appointed head of the army in Bohemia in 1840. Having gained a reputation as a champion of energetic measures against revolution, during the Revolutions of 1848 in Habsburg areas he was called upon to suppress the insurrection of March 1848 in Vienna, but finding himself ill-supported by the ministers he speedily threw up his post. Having returned to Prague, his wife was killed by by a stray bullet during the popular uprising. He then showed firmness in quelling an armed outbreak of the Czech separatists (June 1848), declaring martial law throughout Bohemia. 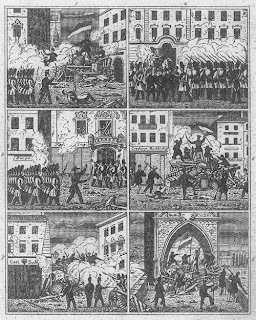 Upon the recrudescence of revolt in Vienna he was summoned at the head of a large army and reduced the city by a formal siege (October 1848). 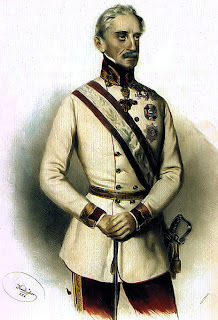 Appointed to the chief command against the Hungarian revolutionaries under Lajos Kossuth, he gained some early successes and reoccupied Buda and Pest (Jan. 1849), but by his slowness in pursuit he allowed the enemy to rally in superior numbers and to prevent an effective concentration of the Austrian forces. In April 1849 he was relieved of his command and henceforth rarely appeared again in public life.